Special diamond instrument used for preparing and finishing without changing the instrument when preparing for a veneer. The working section of the TwoGrit diamond instruments consist of two different diamond grits. The main conical section is coated with coarse diamond grit and the tip with fine diamond grit. 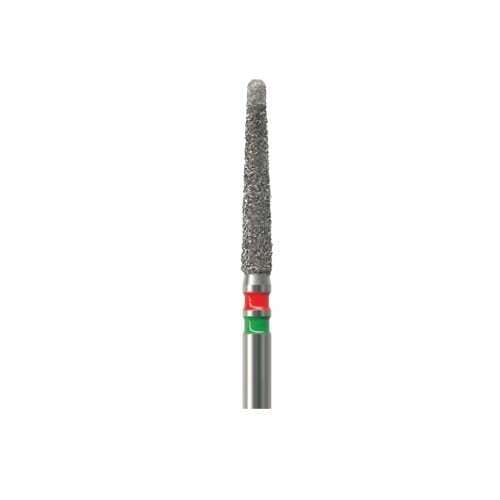 The coarse grit enables rapid material removal and the fine diamond grit of the tip guarantees a perfectly finished preparation margin. Speed opt. 70,000-140,000 rpm.